What a pleasure it was to write that title. To say that I am excited is an understatement. I am beyond excited but I am also extremely grateful to those who nominated me. I started this blog just so I had a little corner of the word where I could write regardless of who was reading. Write I did and much to my surprise, Joyfullantidotes has become something others want to read, something they enjoy enough to even nominate for a prize. I always wanted to be a writer and reckoned that if I had this blog, I could call myself a writer. Being paid for my work was not a major factor. Yet here I am with an award nomination under my belt, and a new job as a Content Editor. The voice I began to build for myself is becoming louder. Thank you to all who took the time to listen and supported me on my quest to a lifelong dream. Good luck to everybody who was nominated. 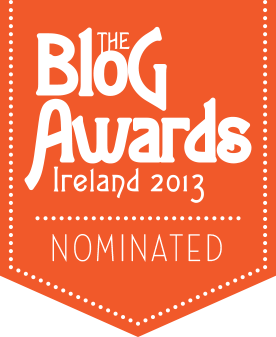 The best thing about this nomination is that I have discovered some fabulous new blogs which already makes me a winner in my books.